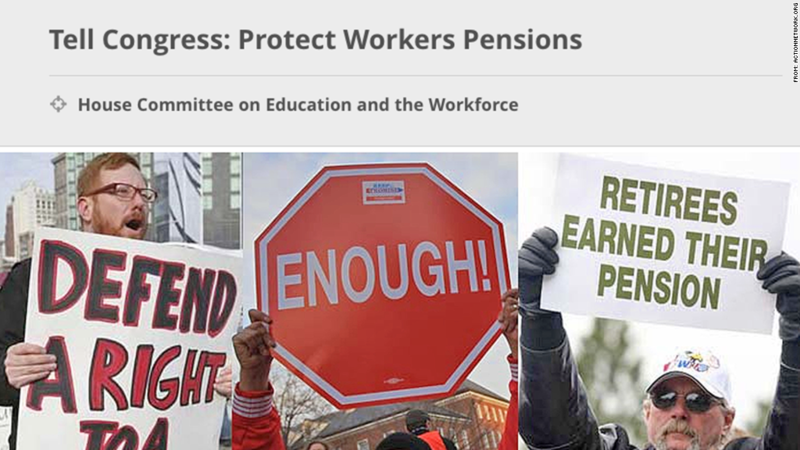 Teamsters have started an Internet campaign that opposes proposed legislation that would allow failing multiemployer pension plans to cut benefits. More than a million retired and current truck drivers, construction workers and other union workers could see their pension benefits cut if Congress passes a proposal aimed at shoring up some of the nation's biggest pensions. Lawmakers are attempting to tack on the proposal to the government spending bill, which is expected to be voted on this week -- although backlash over other add-ons could delay the bill's passage. Are you in a multiemployer pension plan and worried about pension cuts? Share your story with melanie.hicken@turner.com.